If you have only cruised in tropical destinations, I'd like to suggest widing your horizons to the Last Frontier, Alaska. What images come to mind when you think of Alaska? You probably think of Eskimos, cold days, glaciers, snow and ice. Quite a contrast to the palm trees and sandy beaches of the Caribben you are probalby thinking. Yes, depending on when you go to Alaska you may experience some chilly temperatures. You'll definitely be able to see glaciers, since they've been around for thousands of years. Even with global warming, they won't completely melt for some time, I'm sure. If I told you that you could also experience 70-80 degree days, would you be surprised? Cruising season goes from May to September. During the summer months, it wouldn't be surprising to have warm days like that. 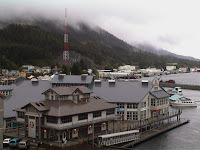 The Inside Passage is Alaska's biggest cruise destination, but popular cruises also visit Prince William Sound, the Gulf of Alaska and the Bering Sea. 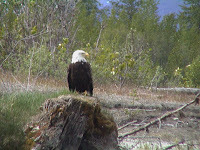 Many passengers choose to extend their time in Alaska before or after the cruise. I highly suggest that because the cruise ships can only go to certain destinations. You want to go to Fairbanks to experience the all night twilight or if you are extremely lucky, the Northern Lights. Denali and Mount McKinley are probably the second biggest Alaskan destination, but those can only be reached by land - usually by train. While in Denali on our first visit to Alaska, we experienced a light snow shower, saw a mama bear with her baby cub, saw several sheep and other wildlife. We stayed overnight in Denali and had a marvelous time. While cruising the inside passage, we saw Hubbard Glacier calving, ice floating in the water, eagles feeding just off the ships port side, whales, seals and other wildlife. The great thing about Alaska is no two days will be exactly the same. You never know what Mother Nature has in store for you to see. 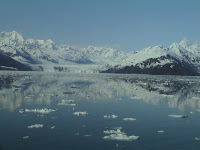 There are many options when doing a cruise / cruisetour in Alaska. Because of the complexity of these options, I strongly encourage you to work with a professional cruise specialist. Because of the short cruising season, you will want to plan early. For best cabins and options, I'd suggest booking a year in advance. If your budget of vacation and money will allow it, I'd suggest getting a balcony cabin and extending your stay so that you can really experience Alaska. In a future article, I'll tell you more about our first trip to Alaska. We did a pre-cruise tour of the Canadian Rockies, a 7 night Inside Passage cruise, and a post-cruise tour that included Fairbanks, Denali, and Anchorage. We are going back to Alaska this year for our National Conference, so I'll be writing you about that trip also. If you have questions in the meantime, please contact me. Definitely put Alaska on your list of cruises to do beyond the Caribbean. Write me when you get back to tell me if you are glad that you did. My husband didn't want to go, but after we went, he can't stop talking about it, even years after the cruise. When you read the title, many of you immediately thought about a similar phrase "Move That Bus" from the popular television show, Extreme Makeover Home Edition. When the bus moves, a brand new home is revealed to the family. 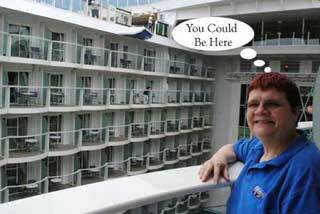 In our case, when the cruise line says "Move That Ship" a fabulous opportunity is revealed. This is an opportunity for you to experience Europe and then return to the United States (assuming Fall 2008) or cruise to Europe from a U.S. port (Spring / Summer 2009). For simplicity, I'll limit our discussion to these two possibilities, although there are others. Have you ever wondered how a cruise ship can be sailing in Europe one month and in the Caribbean a month later? If you look closely at the ship's schedule, you'll find a Trans-Atlantic cruise just prior to the first Caribbean sailing. Mystery solved! A Trans-Atlantic cruise is exactly as the name sounds. It's a cruise that originates in some European port city and ends up in a U.S. port (Fall season) or departs from a U.S. port and arrives in a European port of call (Spring/Summer). Another name for a Trans-Atlantic Cruise is a Repositioning Cruise. That is perhaps the more appropriate name since the two ends don't need to be Europe and the United States. 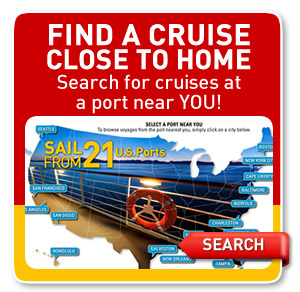 Typically a cruise from Europe to the U.S. has several sea days where the ship is crossing the Atlantic Ocean. These cruises are usually 11 nights and longer, with several ports combined with 6 or more sea days. On average, it takes 7 nights to cross the Atlantic Ocean by ship. 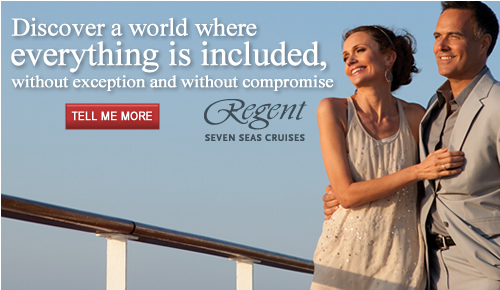 There are several advantages to purchasing a Trans-Atlantic cruise. The cruise is often cheaper than a similar European cruise. There are many reasons why this is true. For example the cabin supply exceeds demand since it is typically harder for people to leave home for that length of time. The cruise line wants to sail with a full ship to cover their costs. For those that dread long flights, this eliminates one long flight from your trip. The cost might even be cheaper for the airfare than a comparable European cruise. Why not experience Europe and then relax on your way back home? There is no better way to do so then laying out by the pool as the ship sails across the Atlantic. I'd suggest flying to Europe a day or two early to do some sight-seeing and to get used to the time zone change. If going from the states to Europe, I'd also suggest extending your time in your destination port if possible to maximize your flight investment. 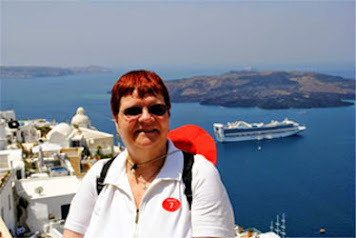 In future posts, I'll tell you about a couple of our Trans-Atlantic cruises. That will have to wait however, since I want to give you some other ideas Beyond the Caribbean. "Where do you want to go? I don't know. What do you have a taste for? I don’t know. How about going to … No, we went there last time.” Sound familiar? The last time you went out for dinner, did you have a conversation somewhat like that? I wouldn't be surprised if you did, since I've had several of these conversations myself. Planning a vacation often sounds like that too. That's not a bad thing. It's actually very good to ask questions and get a consensus before planking down your hard-earned money on a vacation. You do want to involve everyone in your decision process, so that you will all be happy with the final plan. I also encourage you to get some professional advice. Let me help you answer some of these questions. The last question is probably the easiest to answer. 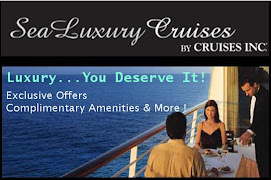 A cruise gives you excellent value. You are able to pay one price for all your lodging, food, and entertainment. From the time you board the ship, you are treated to a resort experience that you will talk about for years to come. Even in the most expensive ports of call, you have an option to keep your costs down by eating your meals onboard the ship instead of at some local restaurant. You don’t have to worry about the exchange rate if you don’t want to. You’ve already paid for your cruise in your local currency and all optional onboard expenses can be charged to your account in your local currency. So, that brings us to the harder question – where to go. If you have cruised before, you have most likely been to some part of the Caribbean Islands and/or the Bahamas. The majority of first-time cruisers go there, so I think my odds are pretty good on guessing where you’ve been to before. There’s good reason why most cruisers go to the Caribbean – it’s a great destination, the weather is great, it’s a year-round destination with many cruise ships going there. Due to the supply, the cruise lines have no problem keeping up with the demand. On the other hand, if you’ve been to the Caribbean several times before, you might be looking for something new this year. I’d like to let you in on some inside information which may surprise you. Europe is an excellent cruise value, especially in 2008. This may come as a shock to you. It seems that we are either in a recession or heading for one, so how could Europe be a good value? Isn’t the cost of fuel going up, so won’t it be expensive to get to Europe from the States? Yes, times are tough, fuel costs are rising, and there is a good chance that the airline ticket will be the largest portion of your vacation price. Repeat that you say. Airfare may be more than your cruise fare. 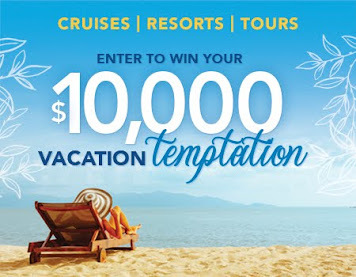 There is a possibility that you can get a great deal from the cruise lines this year. Why is that? The cruise lines are over-deployed in Europe this year. There was such an increase in demand for Europe the past few years, the cruise line reacted and moved many of their ships to the European market. Cruise ship schedules are done well in advance, so it takes quite some time to react to changing times. With all the ships in Europe, the cruise lines need to fill them up this summer. In order to do that, many of the lines are offering special pricing which combats the price of the airfare. In some cases, they even have special airfare if you book that through them. If you haven’t been to Europe before, or if you’ve been yearning to go back, this might be the best time in the next few years to do so. It wouldn’t surprise me if the airlines also react by offering special airfares during the summer months. It is very costly to fly long-distance trips and the airlines want to have their planes as full as possible. 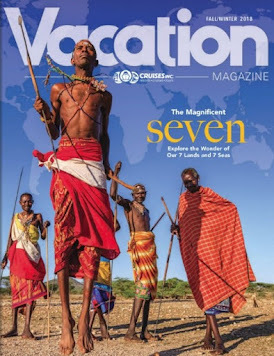 So, the savvy cruise traveler can actually reap great rewards by taking advantage of special pricing.If Europe isn’t your “cup of tea”, I would encourage you to check other destinations beyond the Caribbean. 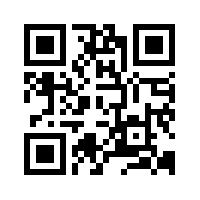 My websites should give you some more ideas. I’ll share some additional ideas with you next time. Tropical breezes are blowing, the surf is calling, but if you are like most Americans, you are feeling guilty about taking time off to relax with your family, even though you desperately need to. Did you know that most Americans, earn on average 14 days of vacation compared to Britain (24 days), Spain (30 days) and France (36 days). Also, a recent study discovered that most Americans don’t even use their vacation time. Another study discovered that women who took holidays were more satisfied with their marriages and less likely to become depressed, while a separate study showed that among men who were at high risk for coronary heart disease, those who took vacations had a lower death rate. So don’t feel guilty about taking a vacation; it’s healthy for you to do so. So while that is sinking in, let’s pretend that you’ve decided to take the big plunge. You call me and say that you have a large bank of vacation time stored up, you’ve always wanted to go to Norway to see the Fjords, you and your family want to get away for a couple weeks. Checking the available itineraries, looking at various demographics, your budget and other factors, I recommend the 12 Night Arctic Circle / Norwegian Fjords cruise which departs from Amsterdam on Celebrity Century. I suggest arriving in Amsterdam two days early, so that you can recover from any jet lag and take full advantage of the long flight over the pond. You sleep on the plane ride over the pond, you are already feeling relaxed even before you get off the plane in Amsterdam. Two marvelous days in Amsterdam visiting Anne Frank’s house, museums, and cruising around Amsterdam taking in the sights on the hop-on-hop-off canal boat tour and you are really starting to relax even further. You’ve already forgotten about your work problems, and you’ve not even gotten onto the ship yet. Now, you are really starting to get into the vacation spirit. On cruise day you arrive at the pier, drop off your luggage, and checkin to get your cabin keys. You walk through the doorway, a room steward greets you with a glass of champagne and escorts you to your cabin. You are thinking, I could get used to this. After making your spa appointments, you have some lunch, and get ready for the only compulsary activity of the cruise, the mandatory lifeboat drill. The ship sails on time and you get ready for dinner and your first night at sea. Let's fast forward to the morning of arrival in the first Norwegian port, Alesund. You open the door to your verandah and get your first glimpse of the Norwegian Fjords. In the still of the morning, the only sound is that of rushing water from a nearby waterfall flowing from one of the nearby mountain peaks. The sight exceeds your expectations. You pinch yourself to make sure you are awake. This is truly beautiful country. You are now extremely happy that you took your cruise vacation. Clap! Clap! Wake up! Have you been dreaming? It's time to go to work, or you'll be late! You reluctantly come back to reality, but alas, you've decided that you DO really need to plan a cruise vacation. You've worked hard and you deserve some time away from work with your family. Don't wait too long, you might change your mind. Give me a call and tell me about your dream. Every day I help clients plan their dream getaway. No matter if it's a 3 night Bahamas cruise or a 108 night World Cruise that you are dreaming about, let me put my 25+ years of cruise experience to work for you to plan your well deserved vacation. Until then, sweet dreams.